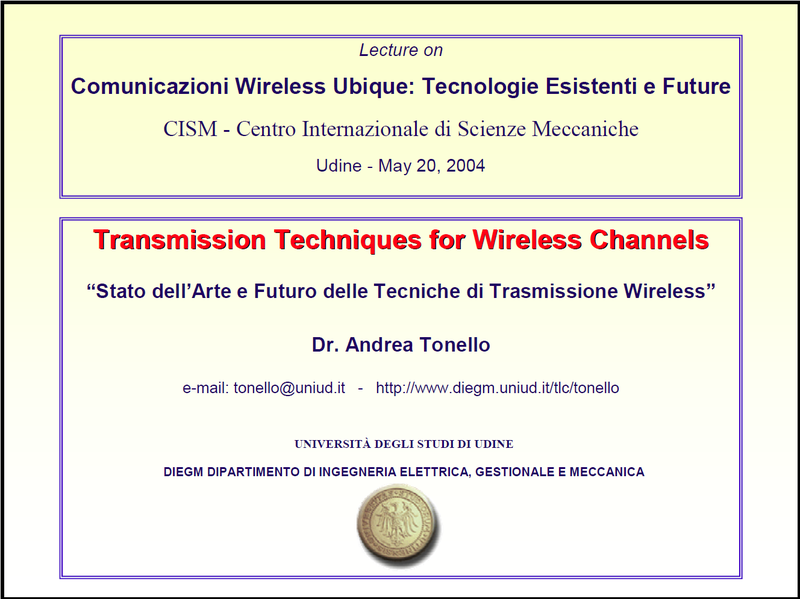 Compared to OFDM these other architectures provide better sub-channel spectral containement which translates in higher spectral efficiency in severe propagation conditions that comprise high frequency selectivity, time selectivity, non ideal time/frequency synchronization, narrow band interference, phase noise, amplifier non-linearity etc. However, perfomance gains come not for free, such that increased implementaion complexity has to be tolerated. In other words, OFDM has its limitations, but it is an elegant and simple solution. This is why it is important to devise efficient implementations. Filter bank modulation schemes for transmission over wide band channels are becoming the choice for current and future wireless and wireline systems. OFDM is the most popular technique. It has been adopted in WPAN standards (WiMedia MB-UWB), in WLAN standards (IEEE 802.11x), in Wireless Access standards (WiMax), in copper pair access (xDSL), in power line communication systems (Home Plug). Other less popular solutions comprise Filtered Multitone (FMT) modulation, Offset/QAM OFDM, Cosine Modulated Filter Banks, Wavelet OFDM, Cyclic Block FMT. They can be viewed as a generalized OFDM scheme. 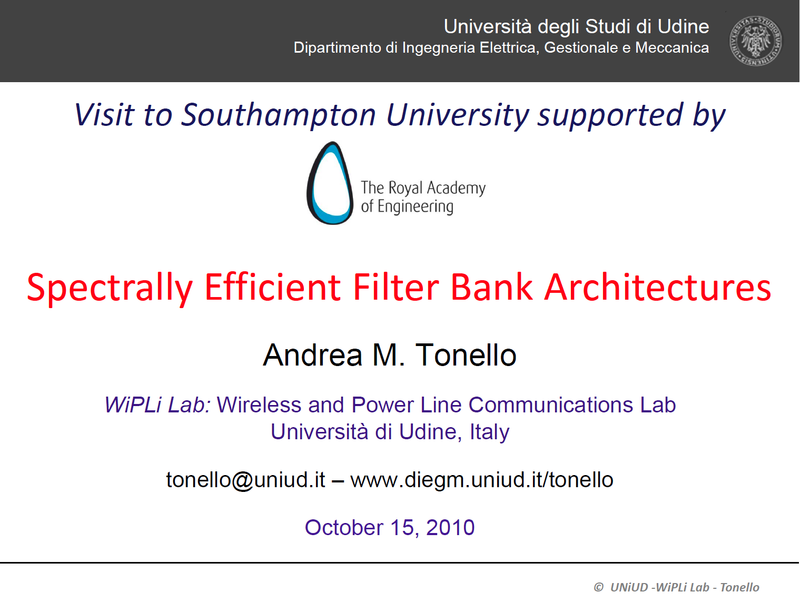 In our lab we are developing novel breakthrough filter bank technologies that captures the best charactersitics of the known filter bank solutions but in a radical new architetural philosophy. They exhibit high performance in nasty channels, yet requiring an efficient low complexity implementation. Targeted applications are wireless wireline and power line communications. 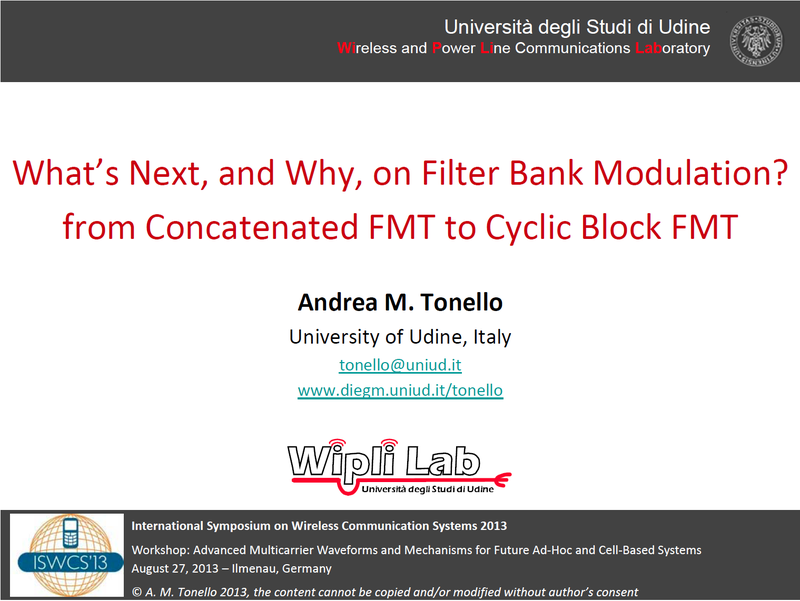 Examples of our proposed solutions are the DFT filter bank implementation of FMT, concatenated OFDM-FMT, Wavelet OFDM, Hybrid Filter Bank, Cyclic Filter Bank Modulation.